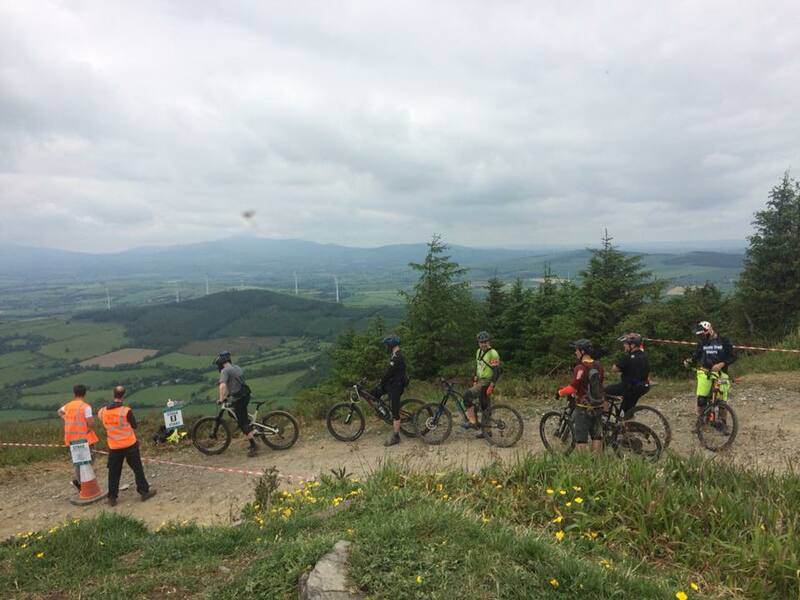 Steep, techy, gnarly, and tight were how riders described the Grassroots Enduro in Sliabh Bhui hosted by Ounavarra Cycling Club this weekend. 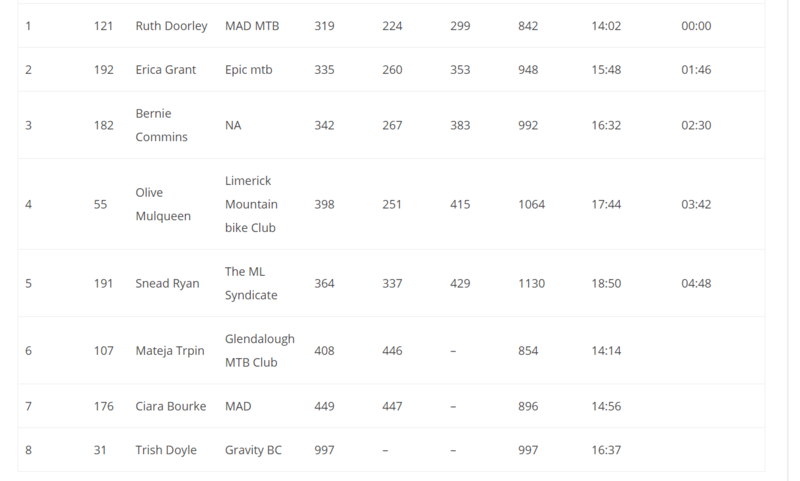 Ruth Doorley (MadMTB) took a resounding win, with a gap of 1.46 from cross country (and all round) mtb racer Erica Grant, who had a strong race coming in second. Bernie Commins, rounded up the podium in third place, showing her commitment to enduro this year is paying off. Ounavarra Cycling Club provided 3 freshly cut trails full of tech features for us to ride and repeat. Two attempts on the nicely traversing stage 1 warmed me up for the more gravity oriented stage 2. Rumours through the ranks of super off-camber, steep sections had rattled me a little but by the second run down I was enjoying the technical challenge with little pedalling required! Stage 3 was back to the top of the hill for a long descent across open mountain, greasy wooded sections and into the lower loamy forest. The long transition in the hot weather and energy running low meant I chose not to repeat 3 but I was happy that I had gotten a relatively clean run first time around. It was a physically and technically challenging but fun day on the bike! Great to see some of the women who have come along to the Women’s Commission enduro and downhill skills development days racing and showing their improved skills. The next enduro races are the Gravity Enduro Championships in Ticknock on the 17th of June, and the First Tracks Enduro in Rostrevor on the 24th of June. Loads to choose from and don’t forget to get your entries in early. Never heard of enduro mountain biking and want to find out more? Read our enduro 101 here!